Savor the famous wines of Piedmont with this 4-hour guided wine tour of Barolo. Take in gorgeous views on a drive through the Langhe region, and visit a family-run wine estate to sample at least three of their wines. Enjoy some free time at the end of the day for souvenir shopping. Choose your departure time and meet your local guide at that time in Alba or elsewhere in the surrounding area (the meeting location is determined in the booking process). Take in the incredible views of the Langhe wine-producing region, which is a UNESCO World Heritage Site, on a drive through some of the 11 towns that are famous for producing Barolo wine. Find out what it takes to create such renowned wine, including the geography and soil composition of this area. 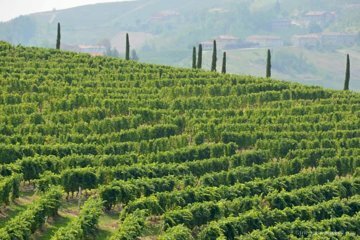 Continue on your trip to a small, family-run wine estate where Barolo is produced. Sample at least 3 of the estate's wines, learning to taste the differences between Barolo and Nebbiolo. Arrive next in the town of Barolo itself. Learn about the first wine aged here by Marquise Juliette Colbert before spending some time browsing the shops or taking in the scenery overlooking the castle. Please note: This tour can be booked with or without transportation; refer to the tour options for more information.